Distribution: Most of the world. Edibility: The new shoots can be eaten raw or cooked in the spring and are delicious. These are sometimes called "Cossacs Asparagus". If you eat them raw please be sure to wash them thoroughly since they often grow in standing water and may be contaminated. 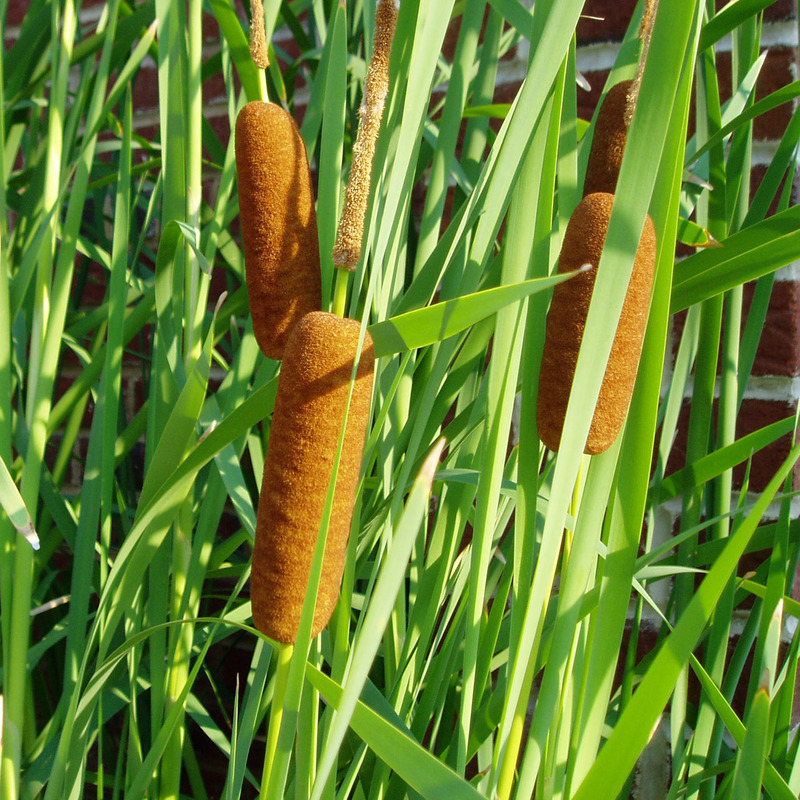 The immature male flower stalks can be boiled and eaten like corn-on-the-cob. The roots can be pounded or crushed in water to release a starch. You can allow the starch to settle and then pour off the water. This starch can be eaten in many ways. The pollen can be gathered from the mature male flour heads. It is very high in protein and can be added to just about any food. Medicinal: The gel substance found between the leaves at the base of the plant is said to be an oral pain-killer. Utilitarian Uses: A workable cordage can be made from the leaves, though it is not as strong as many other plants. The cattail fluff from the mature seed heads can be used as an excellent tinder material for firemaking. It is very good about extending and spreading a coal and I commonly use it as the very center of my tinder bundle. This fluff can also be used as an insulation material. The dried stalks may be useful for hand drill firemaking.